Vocalpoint! Seattle presents "American Rock"
Richmond Highland neighbors will gather at the Richmond Highlands Recreation Center, 16554 Fremont Ave N in Shoreline on Sunday, November 6, 2016 from 2 - 4pm. Free, family friendly. Meet your neighbors for pumpkin pie and cider. the target of the fall planting party. 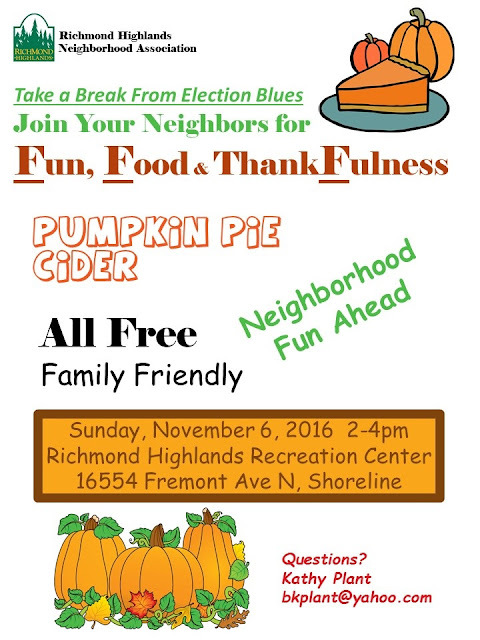 Twin Ponds Park Fall Planting Party Fall Planting Party Sunday, November 6, 2016, 9:30am to Noon, 16501 N 155th St, Shoreline 98133. Meet on the Meridian Avenue side near the covered wood chip pile. Celebrate the end of Daylight Savings Time by participating in a fall planting party at Twin Ponds Park! 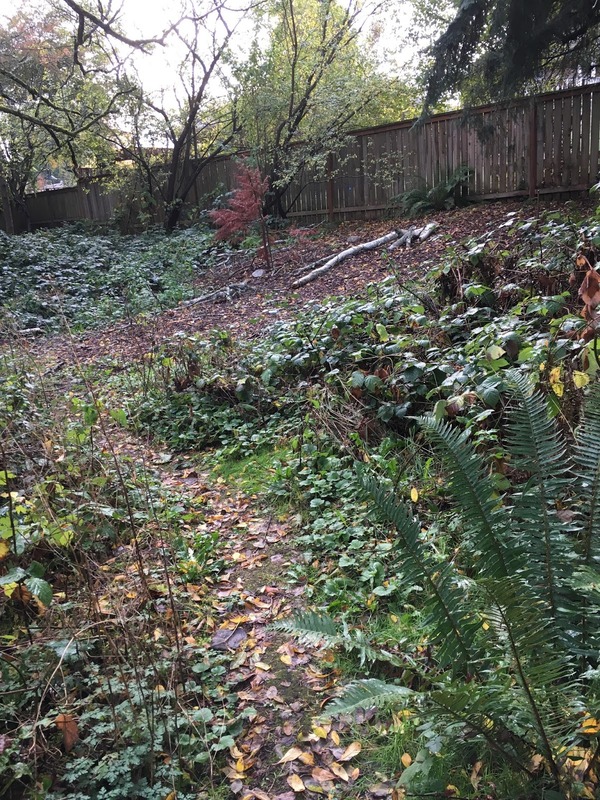 Earlier this year, the Stewards of Twin Ponds Park removed ivy, bindweed and blackberry in an area along the southern edge of the park. It is now time to plant, to take advantage of the rainy seasons. 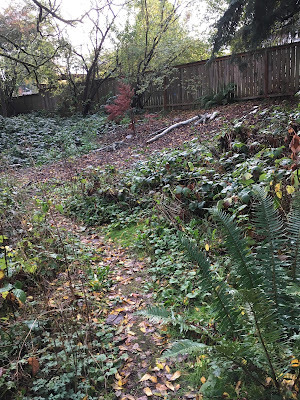 The City of Shoreline Parks Department has generously agreed to purchase the native plants that are suitable for this topography. Please help us plant! We also want to extend this restoration area and could use help taking out more invasives and moving in mulch. Bring your own gloves and your favorite gardening tool. The Stewards will provide larger tools, such as loppers and shovels. Remember, you get an extra hour of sleep on the morning of November 6th. You will feel refreshed and ready to help the environment by planting native plants in Twin Ponds Park! Nearly half a million Washingtonians had their personal information compromised as a result of data breaches between July of 2015 and July of this year, according to a report issued today by Attorney General Bob Ferguson. The release coincides with National Cyber Security Awareness Month. The Attorney General’s report details the sources and impacts of data breaches reported to the Attorney General’s Office (AGO) under new, stricter notification and reporting requirements adopted by the Legislature in 2015. Attorney General Ferguson proposed the legislation. Its prime sponsors were Rep. Zack Hudgins and Sen. John Braun. During the first year after the law took effect, 39 data breaches met the reporting threshold of 500 affected Washingtonians. Those 39 incidents occurred at companies and organizations ranging from school districts to national retail chains and affected at least 450,000 Washingtonians. The number is undoubtedly higher, since several companies reported that they were unable to determine the number of individuals affected. While most of the breaches impacted less than 10,000 individuals, one breach in the tele-communications industry affected more Washington residents than the other 38 breaches combined. In that instance, T-Mobile informed the AGO that an intruder obtained the sensitive data of nearly 330,000 Washingtonians. “Information is power, and this new law gives my office and Washingtonians valuable information about potential risk to their personal information and their businesses,” Ferguson said. The report also details the causes of the breaches. Malicious cyber attacks accounted for the largest share of the breaches. A significant number also resulted from unauthorized people, such as third-party vendors or employees, gaining access to information. A small number of breaches resulted directly from loss or theft. The Attorney General’s report includes a look at the potential costs of data breaches to both companies and consumers, as well as a more detailed look at what types of Washington organizations were affected by the breaches and what types of consumer information were exposed. It also provides resources for affected businesses and individuals. More information about data breaches in Washington, including the individual data breach reports submitted to the AGO, is available online. Information for businesses on reporting data breaches is available here. 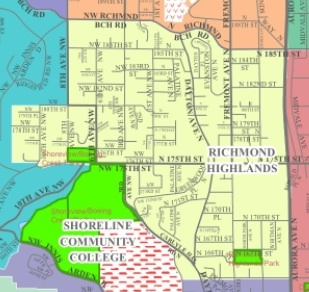 The Lake Forest Park Citizens' Commission will have it's 7th Public Meeting- Tuesday, November 1, 2016, at Third Place Commons on the upper level of the Town Center, intersection of Bothell and Ballinger Ways, Lake Forest Park. All are invited to attend, bring cookies (optional), and ideas. An Informal Cookie Social will start at 6:30pm and the meeting will run from 7-9pm. 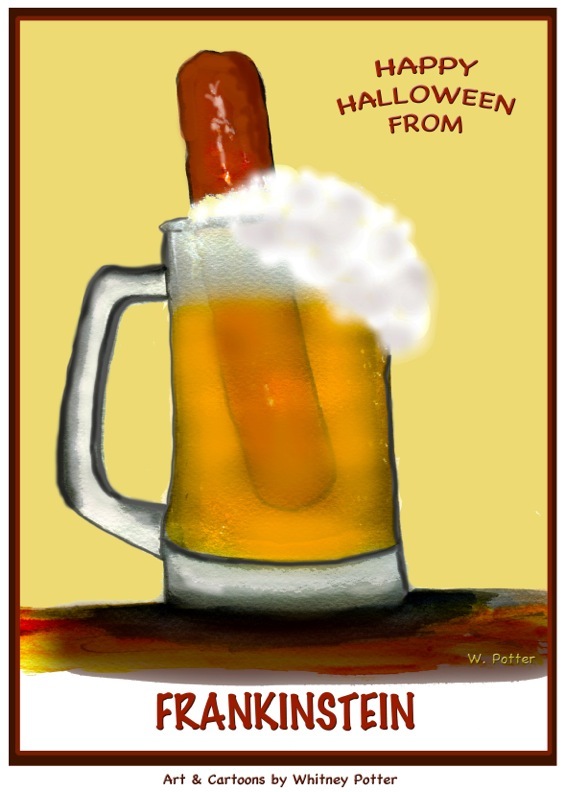 The after meeting will be at the Lake Forest Park Bar and Grill. (9:10-10pm). The LFP Citizens' Commission is not affiliated with the City of Lake Forest Park. On this night will sure be stirring. Another dramatic Halloween decoration in Shoreline, spotted and photographed by Lee Lageschulte. Be safe on Halloween night! 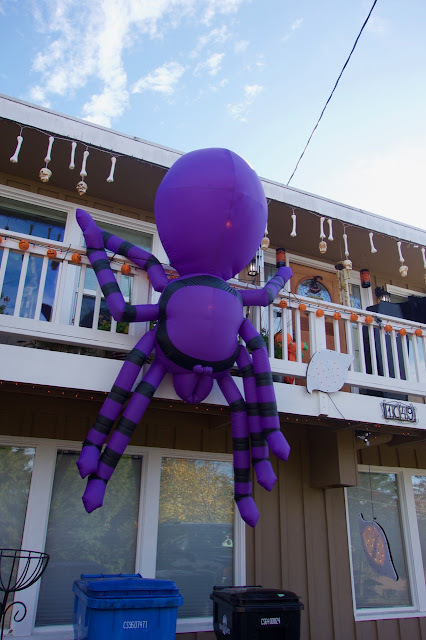 When it comes to children, incorporate safety measure into their costumes or bags whenever possible. Add reflective tape and lights to make sure your child can be seen by drivers. Have them carry glow sticks or flashlights so they can see and be seen by others. 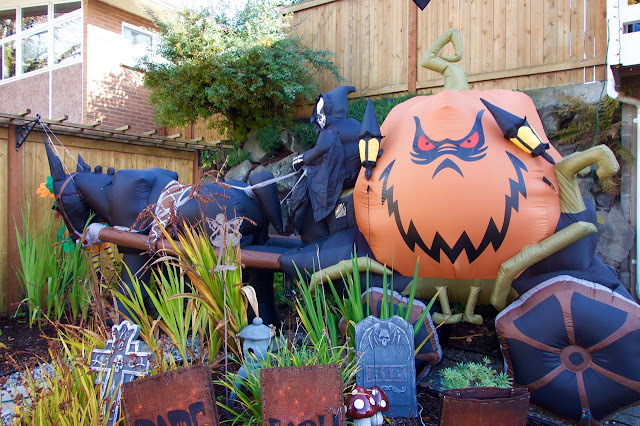 For adults, remember the busiest hours of trick-or-treating are between 5:30-9:30pm. Be diligent and aware of the children around you when driving or out and about. 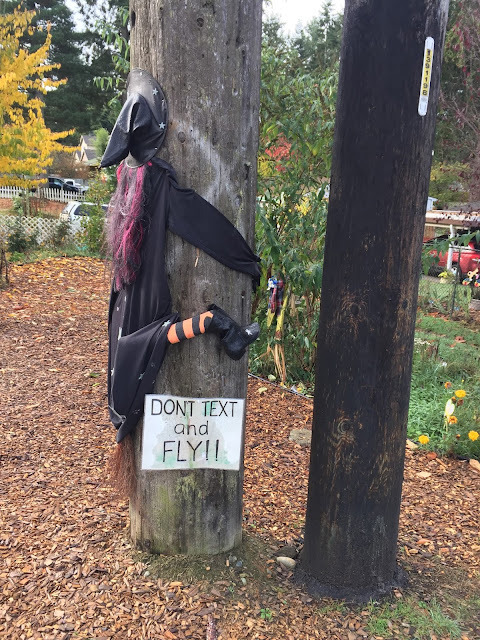 Public Service Announcement: Be aware of the dangers of texting and flying. 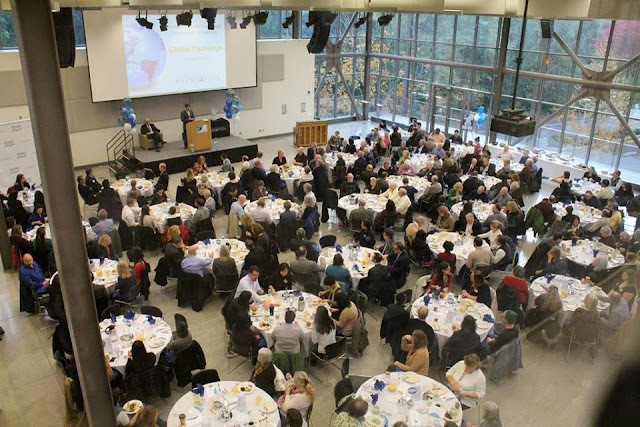 Dan Eernissee, City of Shoreline Economic Development Program Manager, was recently inducted into the University of Washington Husky Hall of Fame. 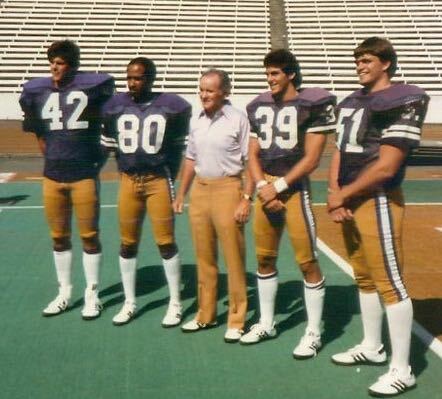 A football player in college, Dan was co-captain of the Husky football team, playing under the legendary Dawgfather Don James. At a ceremony held October 23, 2016 in a sold-out event at the Alaska Airlines Area, Dan's entire team was inducted into the Hall of Fame for their win over Oklahoma in the 1984 Orange Bowl. Dan was chosen to speak on behalf of the team at the Hall of Fame event. From the Hall of Fame listing for the 1984 football team. ‣ Finished 1984 season with a record of 11-1, 6-1 in the Pac-10. 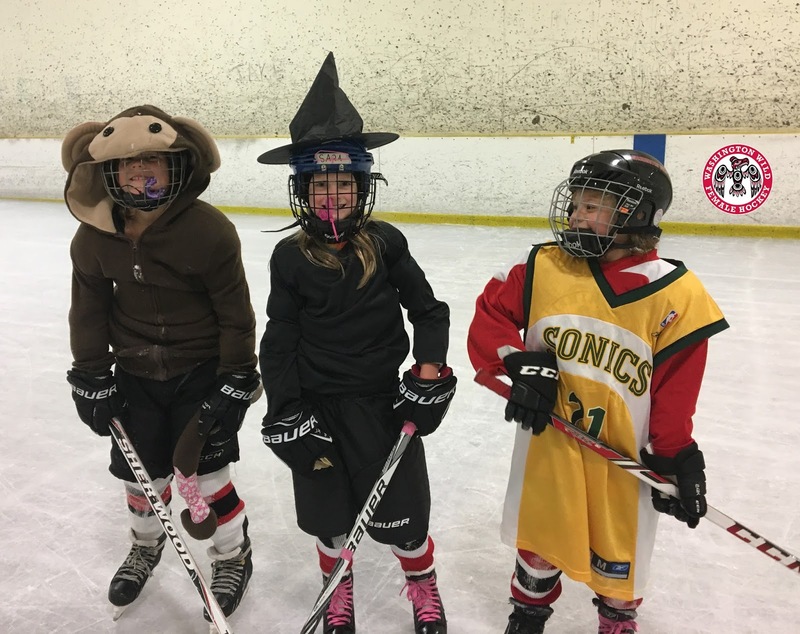 The Washington Wild 8U girls' hockey team turned their practice into a Wild Halloween Girls' Hockey Skate at Highland Ice Arena. Players dressed up in costumes while they went through hockey drills and small area games. Everyone had a spooky time and all costume stayed in place despite the players zipping around on the ice. For more information on learning to skate and play girls' ice hockey, visit the WWFHA Washington Wild website, which will be hosting a Girls' Try Hockey for Free event on November 12th at 4:45pm at Highland Ice Arena, 18005 Aurora Ave N, Shoreline 98133, View on Map. New Washington voters can register through 6pm Monday, but they must register in person at either the King County elections office in Renton or the Voter Registration Annex in downtown Seattle. Both offices will be open from 8:30am to 6pm Monday, the eight-day deadline before the November 8 election for in-person voter registration. The King County Elections office is at 919 SW Grady Way, Renton. The Voter Registration Annex is in the King County Administration Building, 500 4th Ave, Room 440, Seattle. Voters who register in person Monday will have a ballot sent by mail Tuesday. Several got it right. 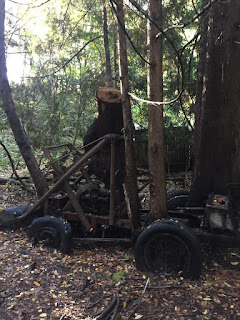 The abandoned tractor (I think that's what it is) with the trees growing through it is in the park in Ridgecrest officially called Paramount Open Space. Sometimes called lower Paramount, it's the wetland park with the ponds and wet weather streams. No stories about the tractor, though. That will have to continue to be a mystery. Anyone else have park mysteries? 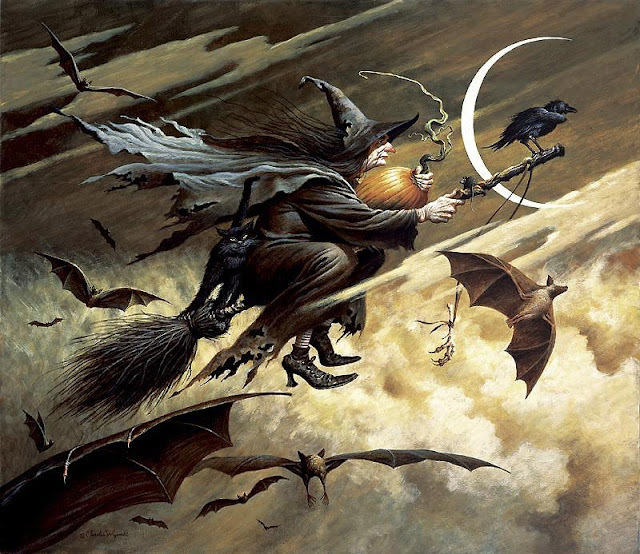 A witch flying in front of a full moon, with a large owl with ears sitting on a branch is a common Halloween picture. 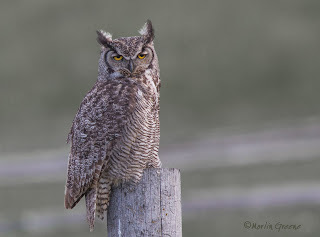 The Great Horned Owl is that large owl. It does not have horns, nor are their ears located in those distinctive tuffs of feathers. 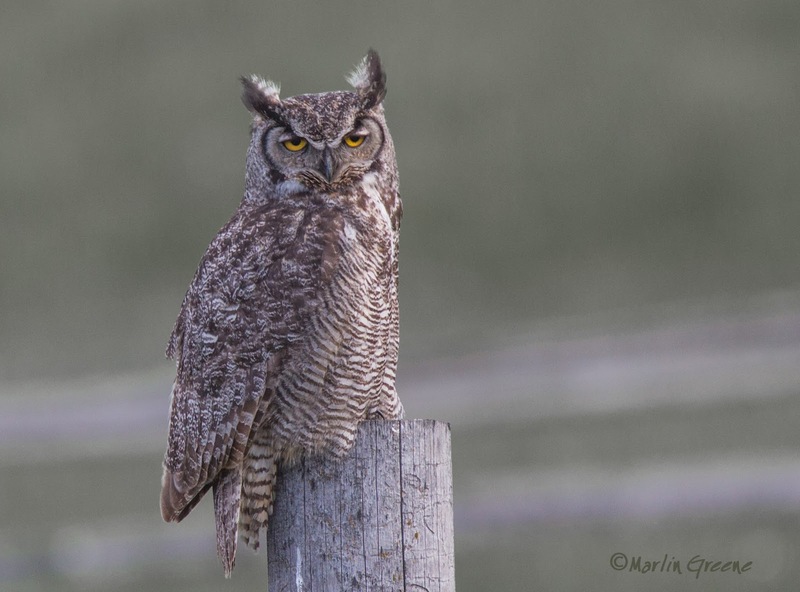 They have large eyes, even for owls, are long-lived and have very powerful talons. 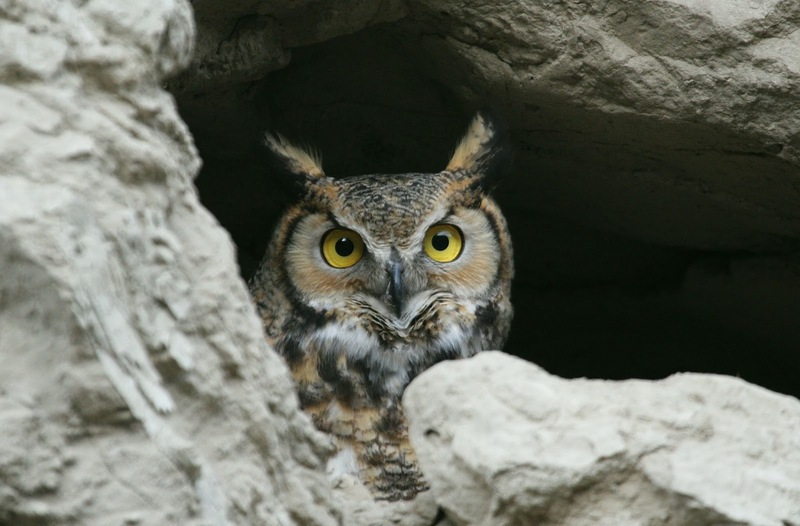 Great Horned Owls are so adaptive that they have the widest prey base and live in the greatest variety of habitat of any North American owl. The only habitat that they avoid is arctic-alpine regions. While they prefer to eat rabbits, skunks, and rodents, their menu may include grouse, coots, smaller owls, even reptiles, amphibians, fish, and during lean times, large insects. If hunting is really poor, they will hunt during the day. These owls are large and need habitat with open areas. Fragmenting of our local forests has opened up areas that were once too dense for them. They usually hunt by the perch and pounce, “sit-and-wait” method, but will hunt by quartering fields if the prey is scarce. Great Horned Owls use nests built by other large birds -- hawks, crows, even Great Blue Herons, which means these owls are most often found in deciduous trees that are on the edges of fields. They will use cliff edges and crevices where trees are rare, and can easily survive in the desert. Owl feathers are remarkably soft and great isolators, which enables these females to keep their eggs warm even when temperatures outside are more than 70 degrees colder. Long-term monogamous, the pairs can be heard courtship calling in early winter. By late February the female will be sitting on one to four eggs for over a month, during which the male brings her food. 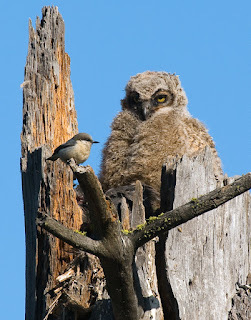 The nestlings stay in the nest for six weeks, and then start climbing out on the nearby branches. The nestlings take short flights at seven weeks, and become fully fledged at nine-ten weeks. The parents feed and teach their young for several months, sometimes into October. 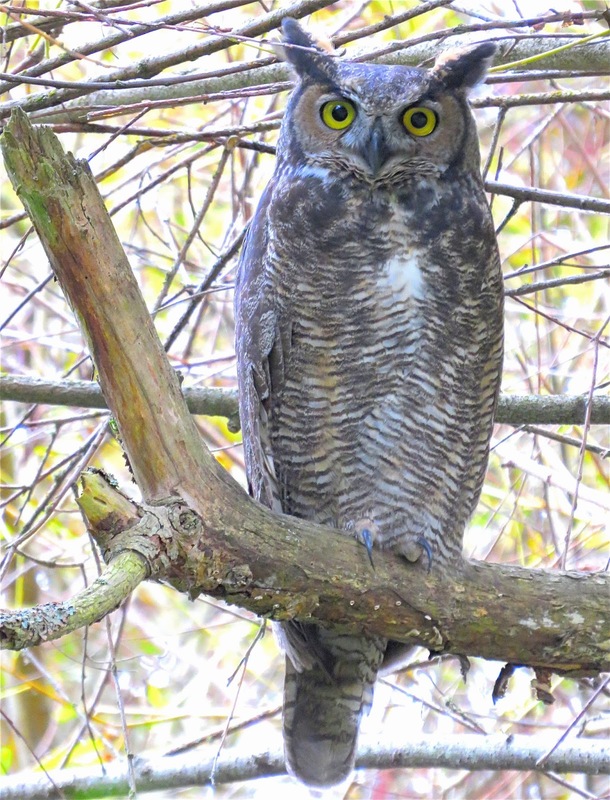 Great Horned Owls may fly long distances during fall and early winter, but don’t migrate. One of the best ways to find these masters of camouflage is to look for whitewash on the tree/cliff face, and look for pellets (packets of indigestible bones, fur, hair) near the base of their perches or nest. If you like watching the annual Rotary Cup football game between Shorecrest and Shorewood you’ll love the “future of Rotary Cups” as the football teams from Einstein and Kellogg middle schools clash on Wednesday, November 2nd at Shoreline Stadium. These cross town rivals meet for a great match up as they represent their respective middle schools, and set the stage for the players to move on to high school next year. Come on out and support these student-athletes and your community. Game time is 3:45pm at Shoreline stadium, 18560 1st Ave NE, Shoreline 98155, south-east corner of the campus. Selected items from the Shoreline police blotter, week ending October 24, 2016. 2 reports of vehicle break-in just to steal change. 1 smashed the front window and stole a diaper bag. Another got a cell phone and wallet. Others stole registration, aspirin, work folder, backpack full of valuables, center console. 2 at SCC and several at 188xx 1st NW with no details. 10-12 Lawn furniture stolen from fenced back yard 3xx NE 151st. 10-15 Neighbor dispute over cut tree. 2xx NW 201st. 10-16 Two males apprehended in storage unit not their own were booked on outstanding warrants. 10-17 Burglary - door kicked in at 17xx NE 150th. 10-17 Counterfeit $20 given as change at Shoreline Transfer station. 10-17 Vehicle stolen from Chuck Olsen Kia service center over the weekend. 10-17 Medical call at Shorewood for student with bad reaction to a marijuana chocolate cookie. 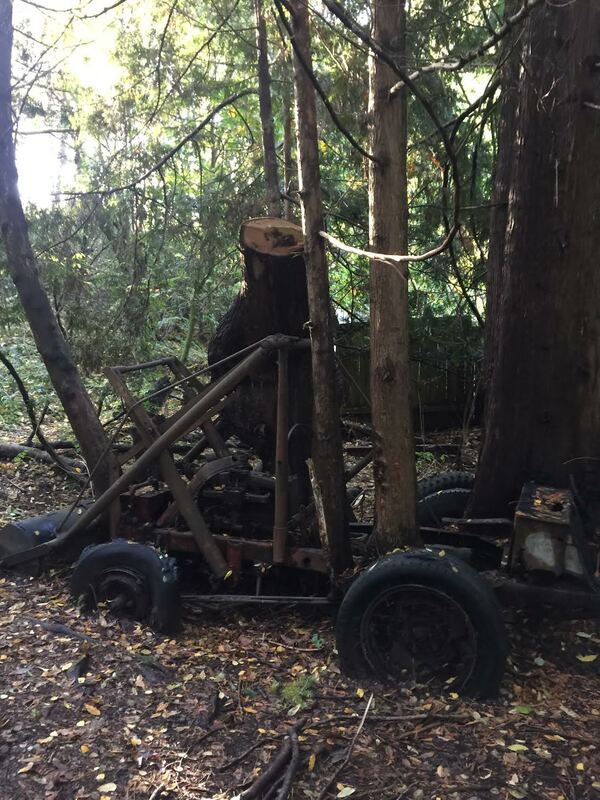 10-17 Game camera stolen from unlocked shed 145xx Wallingford. 10-17 Couple fight over his infidelity. She destroys his TV and is charged with vandalism. 10-18 Man with Alzheimer's was on city street, lost. Daughter contacted. 10-18 Racial slur leads to fight. Arrest for assaulting officers while armed with a handgun. 10-18 Large amount of household junk dumped behind Children's Center. 10-18 Police pursue and catch a tagger who tossed a loaded firearm during pursuit. 6xx N 185th. 10-20 Arco station on 145th robbed by unknown males. 10-20 5xx NE 170th. Unknown person hooked up a trailer and boat to their vehicle and drove off. 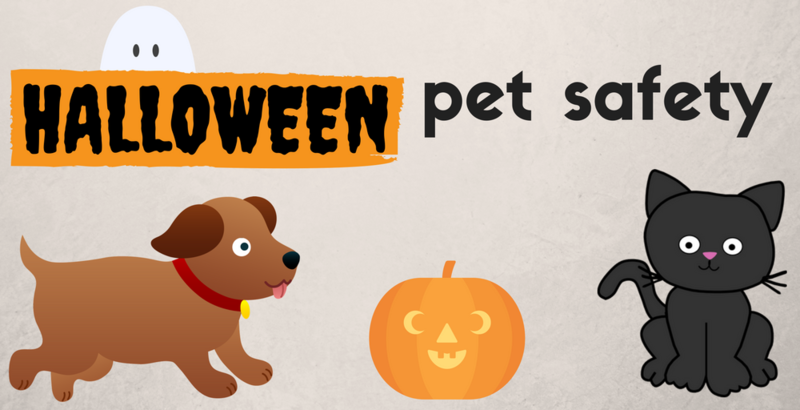 Halloween is "spook-tacular" for kids of all ages, but the holiday can be pretty scary for our pets. Regional Animal Services of King County would like to remind pet owners of a few safety tips before the ghosts and goblins come begging. Never feed candy to your pet, especially chocolate. If you suspect your dog or cat has gotten into Halloween treats, contact your veterinarian right away. Costumes can be scary to some pets. If your pet is easily spooked by strangers or loud noises, consider keeping them safe in a pet crate or confined to a quiet room while trick-or-treaters are out. Since they can escape when you open the door for trick-or-treaters, be sure your pet is wearing a collar with a license or ID tag securely attached. You may also consider microchipping your cat or dog. Check with your veterinarian. If your pet does escape, check with all local shelters (PAWS) and animal rescue groups, as scared pets can sometimes travel long distances. You can file a report on RASKC's website at www.kingcounty.gov/LostAPet. The City of Shoreline is in the process of writing the next six-year Plan for Parks, Recreation and Cultural Services (PROS Plan) and we would like you to be a part of our continued discussion about our future. You are invited to join us for a presentation about capital improvement project ideas and how we establish priorities for Shoreline’s parks and open space needs citywide and within the two light rail station subareas. Shoreline City Hall on Tuesday, November 1 from 7:00-9:00pm. For more information about the meeting, contact Parks Project Coordinator Maureen Colaizzi at mcolaizzi@shorelinewa.gov or 206-801-2603 or visit shorelinewa.gov/prosmeetings. The King County Sheriff’s Office and 16 other local law enforcement agencies in King County are participating in a DUI Emphasis this weekend. Over 50 extra officers combined from the agencies will be on patrol targeting DUI drivers. Agencies participating include the King County Sheriff’s Office, Washington State Patrol, Washington State Liquor Control Board and police officers from city police departments including Bellevue, Black Diamond, Burien, Covington, Federal Way, Kent, Maple Valley, Muckleshoot, Port of Seattle, Redmond, SeaTac, Seattle, and Shoreline. 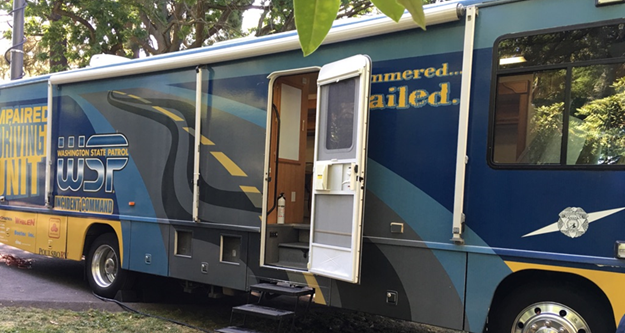 The Washington State Patrol Mobile Impaired Driving Unit (MIDU) will be operating to support law enforcement with DUI processing. MIDU officer staff process impaired drivers in a faster manner to allow patrol officers to return to the road. Funds for the emphasis have been provided by the King County Council and Washington Traffic Safety Commission Target Zero program. Attend Shoreline's 19th Annual Student Success Breakfast to help raise funds to provide emergency assistance and scholarships for our college students in need. Tickets include a tasty hot breakfast and live music provided by Funk 'n Groove, along with fabulous emcee Jim Dever of KING5 TV! Shoreline Library Board meeting Thursday, November 3, 2016, 6:30-8:00pm at the Shoreline Library, 345 NE 175th St. Shoreline 98155. She’s back! 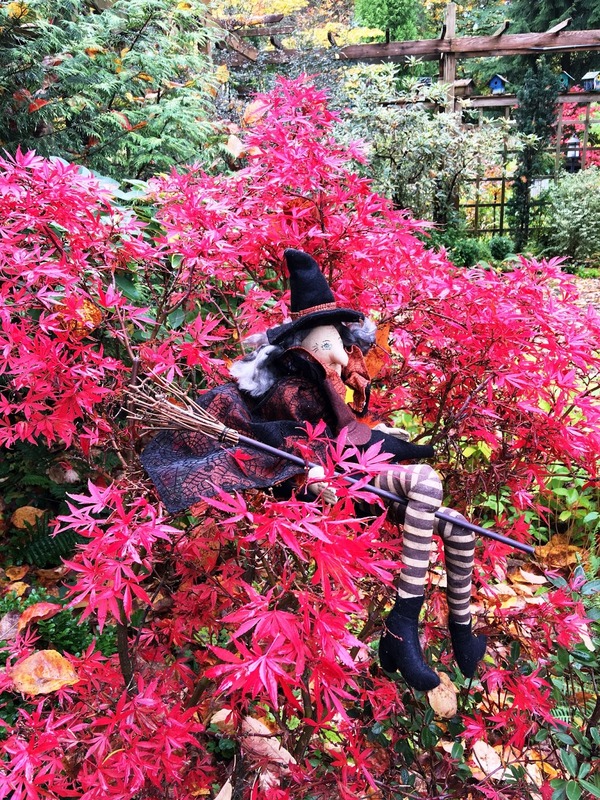 Once again what looks a lot like ‘The Halloween Witch’ has returned to our garden just in time for the holiday. 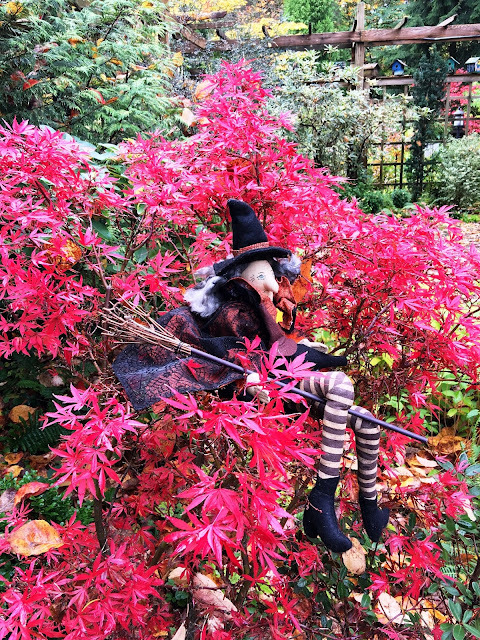 This time she’s landed in a bright red dwarf Japanese maple. ‘Shaina’ is a beautiful small tree that sports intense crimson leaves from spring through fall … a worthy addition to most any garden. Most gardeners would love a tree that’s easy to grow, compact, provides color in the garden for an extended period of time, and that grows well in a variety of growing conditions. 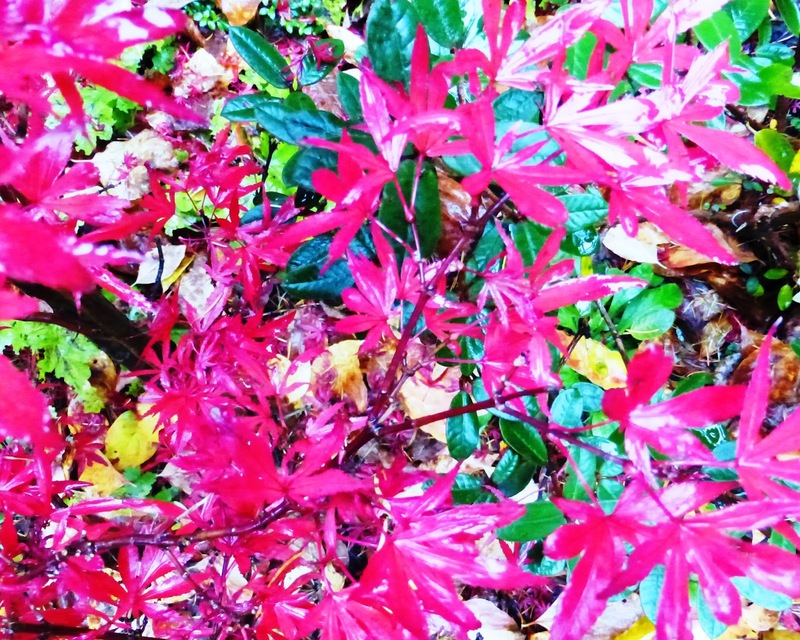 ‘Shaina’ Dwarf Japanese Maple does all of this! 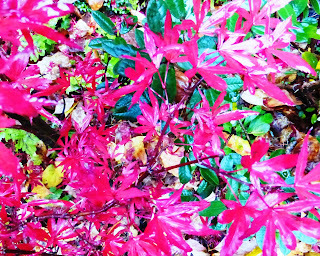 Petite purplish red to crimson leaves appear in spring. Exact color is dependent on the amount of sunlight, water, type of soil, growing conditions, and the time of year. Our ‘Shaina’ provides beautiful color for 8 months of the year in a semi shady bed of our garden. ‘Shaina’ is a compact globe forming Japanese maple that seems more like a medium to large shrub. It typically reaches 4 feet wide by 6 feet high after many years and can be tucked nicely into a smaller garden. Because she’s a dwarf tree ‘Shaina’ can be grown beautifully in a container for many years. If you can find a spot for this eye catching tree in your garden plant one. You’ll love It!